On average, over 20 people are killed and over 1,900 are injured in this type of collision every year. 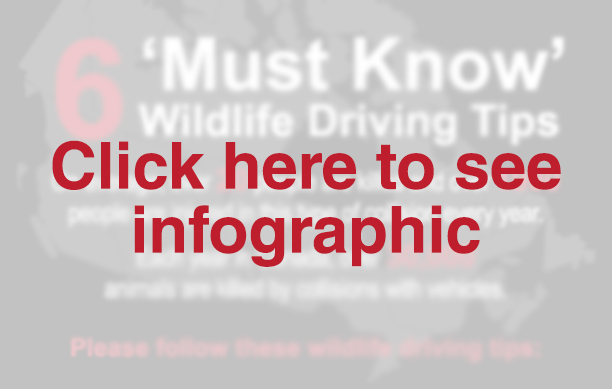 Each year in Canada, over 30,000 animals are killed by collisions with vehicles. In areas where you know there may be wildlife, such as where you have seen them in the past, or in areas with wildlife signs (i.e., deer crossing, always reduce your speed by at least 10 km/h. 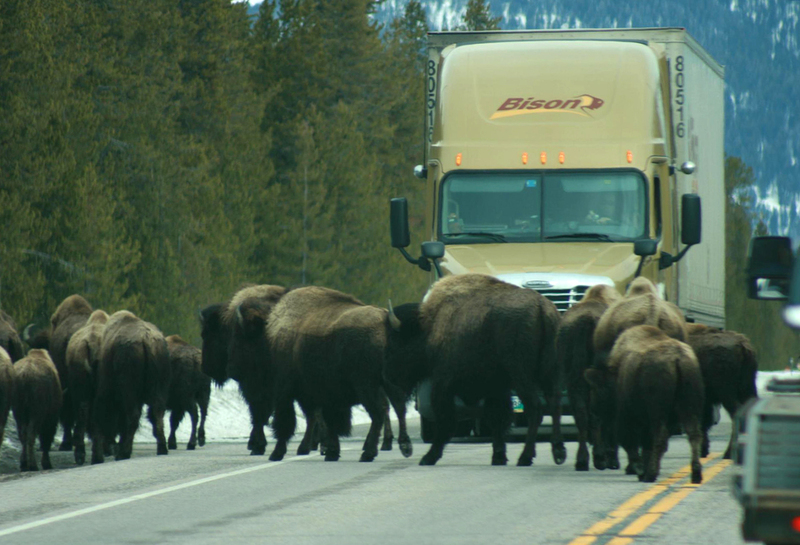 Reducing your speed is the best way to decrease the risks of driving in wildlife areas. This is very effective as it will buy you time and space to avoid hitting the animal. Animals can dart into the road at any time. Be particularly cautious any time between dusk and dawn and when travelling near wooded areas and bodies of water. Be sure you can stop in the distance illuminated by your headlights. Use your high beams only when no other traffic is approaching. Continually scan the ditches and areas beside the road for wildlife. Remember that most animals have reflective eyes and fur, but moose do not, and therefore are especially hard to see in low light. If you see one animal, slow down immediately and assume there will be more in the area. If an animal is in your path, brake firmly but do not swerve to avoid it. If you can slow down with control, steer around the animal, but stay on the highway. Take your time and drive safe!